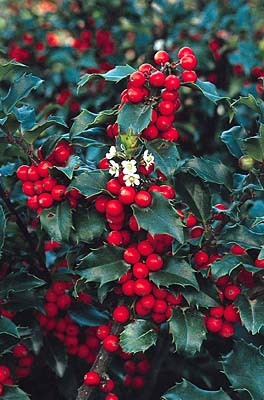 A profusion of bright red berries fall through winter. Use Blue Prince holly as a pollenizer for berry set. Displays dense blue-green foliage on purple stems.